This bottling, launched at the end of 2017, is the third of five annual "local barley" releases announced by Springbank in 2016. It comes after the first release, a 16-year old, and the second release, an 11-year old. This third release was made with barley from the West Backs Farm in Campbeltown, 70% getting matured in ex-bourbon casks and 30% matured in ex-sherry casks. It was distilled in June 2007 and bottled in November 2017 with a total outturn of 9,000 bottles. The nose begins with distinct notes of malted barley and fudge, followed by oranges and lemons. Later on, the oranges turn into orange peel, and there are notes of cinnamon and a hint of salt. Sweetness and salt, perfectly balanced - this nose is truly exquisite! The palate is medium-bodied and wonderfully oily. The flavours of oranges and lemons are back, now together with notes of marzipan and, again, a touch of salt. At the very end I got a whiff of smoke. The finish is long and warming. Sweet flavours of caramel and honey combine with salty notes and turn into rather earthy flavours before ending with some soft smoke. This reminded me a lot of the 11-year old release although I'd consider it a little bit better balanced. I loved the oily character of the palate and the interplay between sweet and salty flavours. 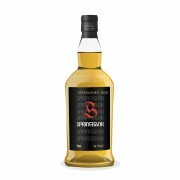 Quite complex but also very drinkable, this is another great Springbank release. @Pierre_W, thank you for your lovely review. Orange and cinnamon,..sounds delicious. Nice ABV, too. I hope that I get the opportunity to taste this one some time. That sounds like quite a different flavour profile to their standard 12 cask strength. I agree that I'd love to sample one of these too. I agree @Hewie, compared with the 12yo cask strength this is a rather different flavour profile. I like the 12yo CS; but I like the 'Local Barley' releases even better. It seems like a lot of the Springbank (and Kilkerran) one-off releases are 9000 bottles. Does anyone know if that's the size of their bottling run or batching container or whatever? I'm jealous I'd love a bottle of this.! They sell out crazy quick though. If you don't pick one up the week of release you have to pay silly prices to get one. I wish Springbank was more widely available in Ontario. This sounds wonderful. Thanks for the review. @OdysseusUnbound At $174 at the SAQ, it souds wonderfully expensive. @OdysseusUnbound You should...and more where that came from. I buy nearly every single Springbank/Longrow special release but I was forced to pass on this one due to the $157 price tag they are asking for it. Compared to their other releases, which are already a bit inflated (but well worthy), this one seems a bit exhorbitant. Not sure if it is due to the distributor or what. It's just sitting on shelves around here, tbh. Typically, these releases don't even MAKE IT to the shelves. I'm just glad that I was able to snag 3 bottles of the 16yr Local Barley at only $10 more. 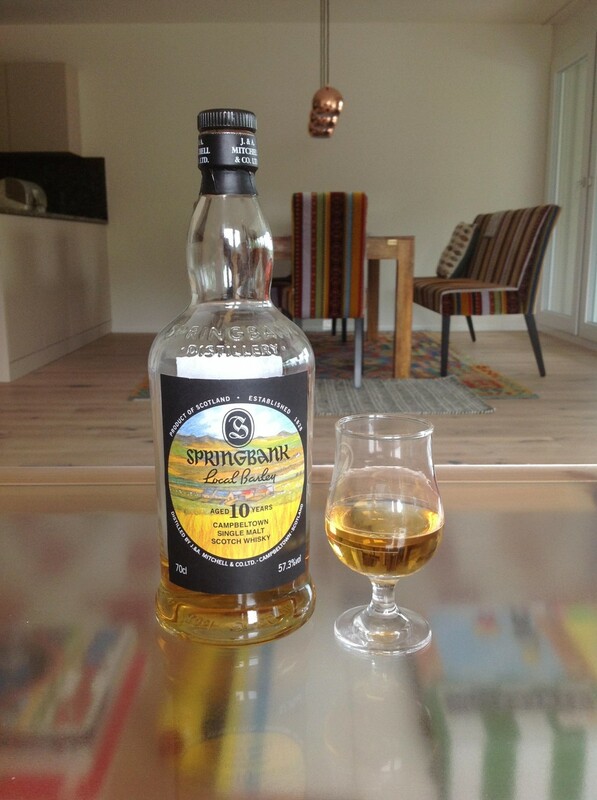 @KRB80 yeah, it seems that Springbank and all it’s related offerings are getting very expensive, but they are all so damn good. Maybe the best Springbank related deal these days is the Kilkerran 12. 10 months ago 5Who liked this? @BlueNote, I could not agree more. Kilkerran 12 is excellent value for money. It is a permanent fixture in my whisky cabinet. @KRB80, I am super jealous because I missed out on the 16-year old. From what I heard from fellow malt maniacs, so far the 16-year old seems to be the most popular of the recent „Local Barley“ releases, followed by the 10 and then the 11.